Some things are just too amazing not to share. 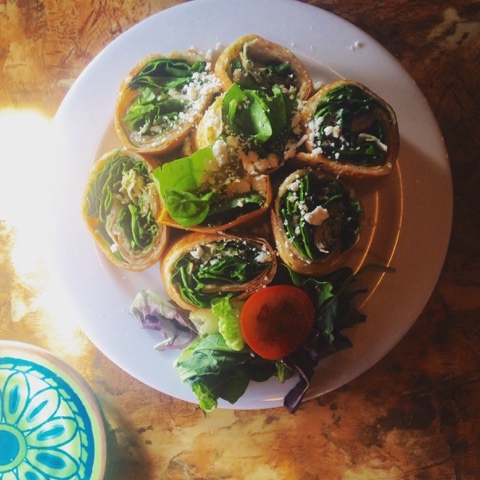 Crepe rolls filled with spinach, turkey, pesto and feta cheese. Made by a local family restaurant in Southern California. Delicious!